Home/Knowledge Base/Dedicated Server/How to do a system reboot? 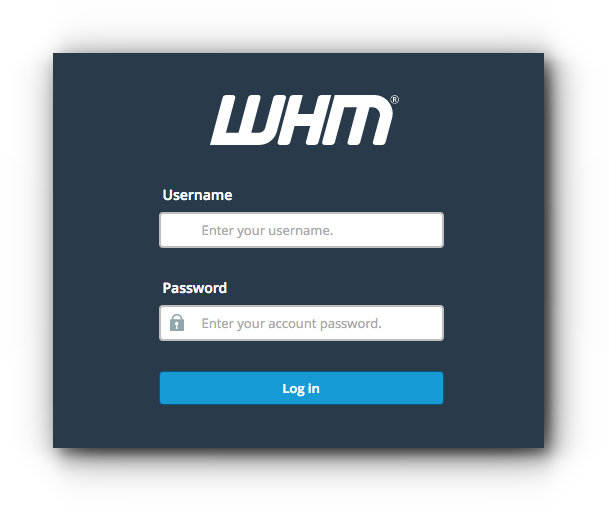 Home/Knowledge Base/VPS/How to do a system reboot? 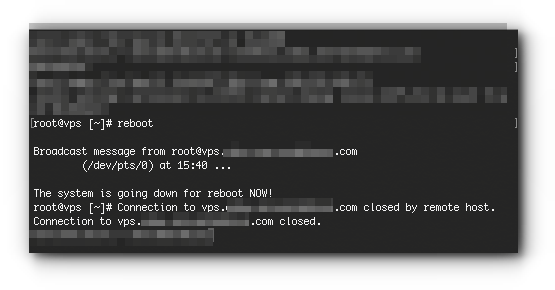 You can do a system reboot via WHM or SSH. This is mostly useful when you want to troubleshoot an issue when the server is not functioning when you start it. Step 2. On the home page, click System Reboot. Step 4.1. 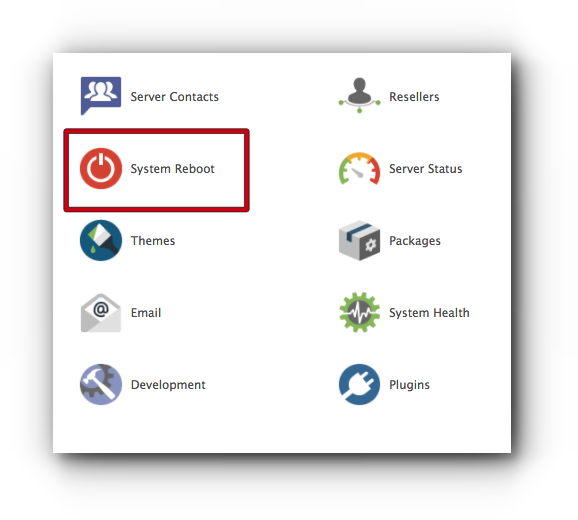 If you choose on Forceful Server Reboot, this will forcefully shut down the device and may cause errors and data loss. Click Proceed to continue. Step 4.2. 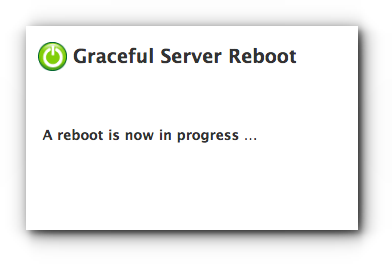 If you choose Graceful Server Reboot, this will close all user-level processes and stores all data before the device will restart. Click Proceed to continue. The screen will then show that the system reboot is in progress. The screen will then give you the follow results.